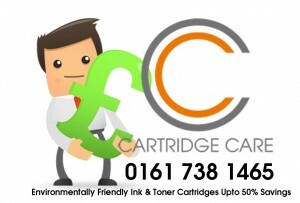 HP 302xl Ink Cartridges Manchester. If you have growing printing needs, opt for the high capacity HP F6U68AE black ink cartridge. The HP F6U68AE inkjet cartridge can offer better value for money. You can also reduce downtime with the high yield HP 302XL black ink cartridge as frequent replacement of your printer’s ink isn’t required. You can expect precise text documents from start to finish with the HP 302XL black ink. The HP F6U68AE high capacity print cartridge is ideal for busy homes or offices with a capacity of 8.5ml and a print yield of 480 pages. Buying HP 302XL high capacity black ink cartridges is easy and affordable here at Cartridge Care Manchester. This cheap high yield black HP302XL printer cartridge. If you encounter technical problems while ordering HP F6U68AE ink cartridges, you may contact us by phone. Cartridge Care provides accepts most major credit cards including Visa and MasterCard. More importantly, we offer lowest price and money back guarantees black 302XL ink, as well as having a free delivery service. The high capacity HP F6U67AE ink is a tri-coloured cartridge delivering magenta, yellow and cyan colours. You can print approximately 330 pages with the more economical HP 302XL high yield tri-colour ink cartridge. Thanks to the formulation of the HP F6U67AE colour ink, you can easily produce sleek images without the need for reprints. This tri-colour high capacity HP F6U67AE inkjet cartridge can also be used to produce crisp documents at home, in school or at work. This entry was tagged Cheap HP Ink Cartridges Manchester, HP 302, HP 302 Ink Cartridges Manchester, HP 302xl, HP 302xl Ink Cartridge Manchester, HP 302xl Ink Cartridges Manchester, HP Deskjet 1110 ink cartridges Manchester, HP Deskjet 2130 All-in-One ink cartridges Manchester, HP Deskjet 2132 All-in-One ink cartridges Manchester, HP Deskjet 2134 All-in-One ink cartridges Manchester, HP Deskjet 3630 All-In-One ink cartridges Manchester, HP Deskjet 3632 All-in-One ink cartridges Manchester, HP DeskJet 3634 All-in-One ink cartridges Manchester, HP Envy 4520 All-in One ink cartridges Manchester, HP Envy 4522 All-in One ink cartridges Manchester, HP Envy 4523 All-in One ink cartridges Manchester, HP Envy 4524 All-in One ink cartridges Manchester, HP F6U67AE, HP F6U67AE ink cartridge manchester, HP F6U68AE, HP F6U68AE ink cartridges manchester, HP Ink Cartridges Manchester, HP Officejet 3830 All-in-One ink cartridges Manchester, HP Officejet 4650 All-in-One ink cartridges Manchester, Refill HP 302xl Ink Cartridges Manchester. Bookmark the permalink.